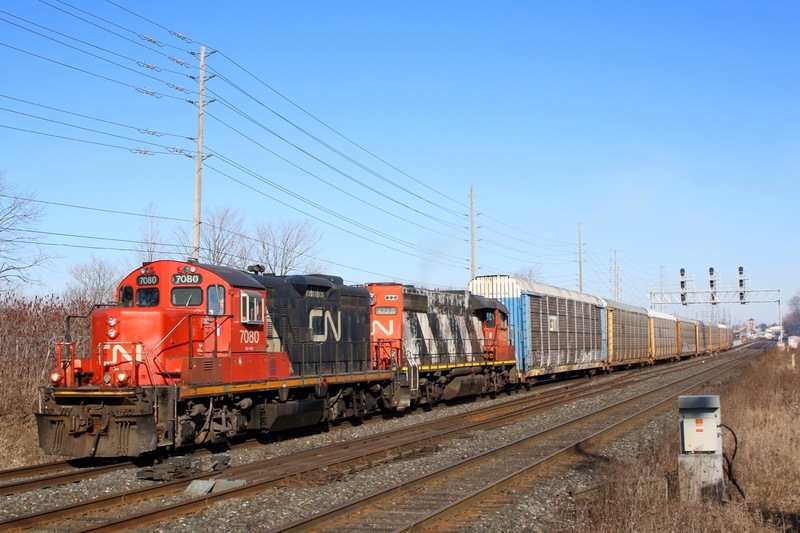 Railpictures.ca - Marcus W Stevens Photo: A pair of old “Geeps” have a short train in tow as they head one of the few daily transfer jobs between Oakville and Aldershot yard. These days these are pretty much the only freight traffic one can find running east of Burlington west, especially during the daylight hours. | Railpictures.ca – Canadian Railway Photography – photographie ferroviaire Canadienne. Caption: A pair of old "Geeps" have a short train in tow as they head one of the few daily transfer jobs between Oakville and Aldershot yard. These days these are pretty much the only freight traffic one can find running east of Burlington west, especially during the daylight hours.